I remember setting my alarm for some ungodly hour – I think it was something like 2:00 a.m. – so I could meet Zeke at his parents’ house for our ride to the airport. That’s how it all started, our first trip to Italy that would kick off a lifetime of seeing the world (here at home and afar) with my best friend. We got to the airport around 4:00 a.m. for our 6:00 a.m. flight into London Heathrow. I had flown before, but never anything like this. I was leaning heavily on Zeke’s travel experience (he had been to Greece and England twice and Egypt once before we met). He was a patient guide from DC to Heathrow around London to Gatwick to Venice and beyond. 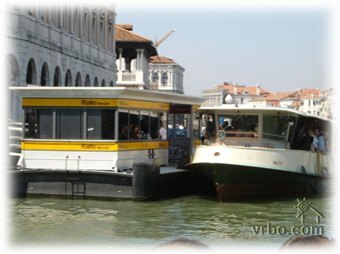 Our cheap tickets to Venice required 30 hours of travel. Zeke’s mom drove us to the airport in her car. Then we hopped Dulles’ famous “People Mover” to catch our plane. From Heathrow we took the London Underground into the city where we walked around for a little middle-of-the-night sightseeing as we tried to kill our 12-hour layover. We spent a decent amount of time sitting on a bench along the Themes listening to Big Ben toll the quarter-hours away. Next up we took one of London’s black cabs to Victoria Station and chatted with a very (VERY) inebriated (but very kind) woman before catching the train to Gatwick. From Gatwick, we flew into Venice where we caught the boat taxi (vaporetto) to Saint Mark’s Square. I remember joking that all we needed was a bicycle and we’d have just about every mode of transportation covered. I remember being pretty relieved to get to our room at the Hotel Pomezia. I was in pretty desperate need of a shower – so much so that I remember telling Zeke I was getting in the shower first, no discussion. He didn’t seem to mind too much. After we both got cleaned up, we passed out for 20 straight hours to recover from the trip. That’s the problem with flying East (and doing planes, trains and automobiles), the first 20 hours in Venice were wasted ! I remember doing the same on a trip from the UK to the far east. Woke up in Hong Kong having missed a day ! Travelling west is much easier, but then not everything is west !